Call of Duty going back to its roots? 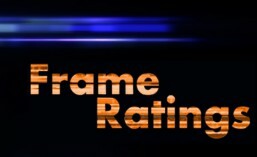 Frame Ratings is a collection of commentary, creativity and critique. Our focus is Gaming and Media Culture. Expect regular updates on gaming triumphs, failures and frustrations; movie and television show analysis, reaction and critique. We love common sense. We hate zealots. Our advice: Like something every now and again. More friends will be joining us as we continue to grow our space here!